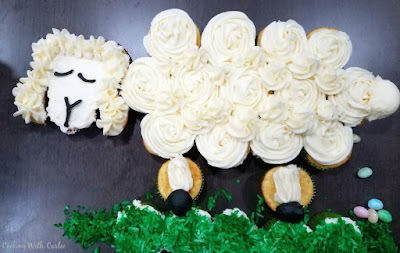 This cute lamb cupcake cake is perfect for spring and would be fun on your Easter table as well. When it's time to eat, everyone just pulls off a cupcake to enjoy! Though Mother Nature seems to be lagging a bit behind, spring is definitely springing around here! MiMi and Pop's little farmstead, Windy Acres, is definitely showing signs of spring. MiMi and Little Dude have been patiently waiting for the eggs they put in the incubator to hatch and now they have! When MiMi heard pecking going on, she called and we had to get Little Dude out there right away. He spent the next two days keeping very close tabs on the peep peeps and keeping me (and my office!) updated with how things were going. The mailman must not have known how many little chicks were going to hatch, because he showed up with boxes of babies as well. So now my parents' basement is loaded with baby chickens and turkeys. Add to that the fun of the sheep having lambs. This is their first lambing season, so it has been quite an experience. The babies are soooooo cute! One of the mamas had twins, which is abnormal for her breed. She's a first time mama and was only taking care of one of the lambs. So my mom adopted the other. Quite a few years ago, when they had lived in the country previously, they bought some bottle fed calves. So bottle feeding the lamb isn't completely foreign, but this baby is much younger and smaller than those calves. She is becoming a regular member of the family! 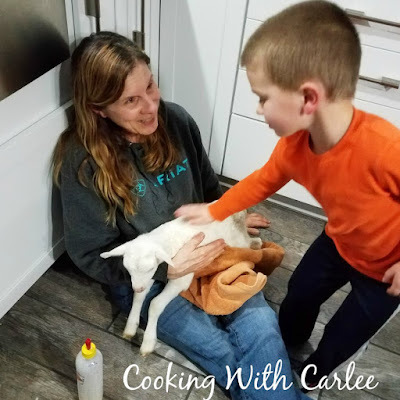 So Little Dude and I thought we should probably make a fun treat to celebrate Mary the little lamb. He loves cupcakes. Well, mostly he loves putting cupcake wrappers in the pan. So we thought a cupcake cake would be a perfect way to celebrate. The cupcakes we made need a little tweaking before I share the recipe. They were pretty good, but I want to make a few changes. Really you could make this with any cupcake recipe you'd like. Ours were a variation of white cupcakes that I will definitely share once we get them perfected. You could always make banana cupcakes or chocolate banana cupcakes like we tend to do. My friend from House of Nash Eats has a great chocolate cupcake recipe. Or Caroline's Cooking has a yummy gluten free lemon almond cupcake if that is more your style. Once the cupcakes are baked, it's time to make some frosting! (YAY!) I used a classic buttercream this time. I made 1 1/2 batches and had a little left over. One batch may do it, but you might be stretching at the end. I was really tempted to use white chocolate buttercream, but I have plans to make that for something else soon. Marshmallow buttercream would be fun as well. You definitely want something white, fluffy and easy to pipe. You'll want a large board or platter that is both big and sturdy enough to support the cupcakes. The one I used is 18x24" but you could get away with one a little bit smaller than that. Now it's time to place the cupcakes! Start with the five across the center of the body. Then four each above and below the five. Add two cupcakes for legs. The head is made of three cupcakes formed into an upside down triangle. Then cut one cupcake in half, paper and all for the ears. Use the rest to make some grass under the lamb's feet. Next I piped some frosting onto the head cupcakes and a bit on the ears. 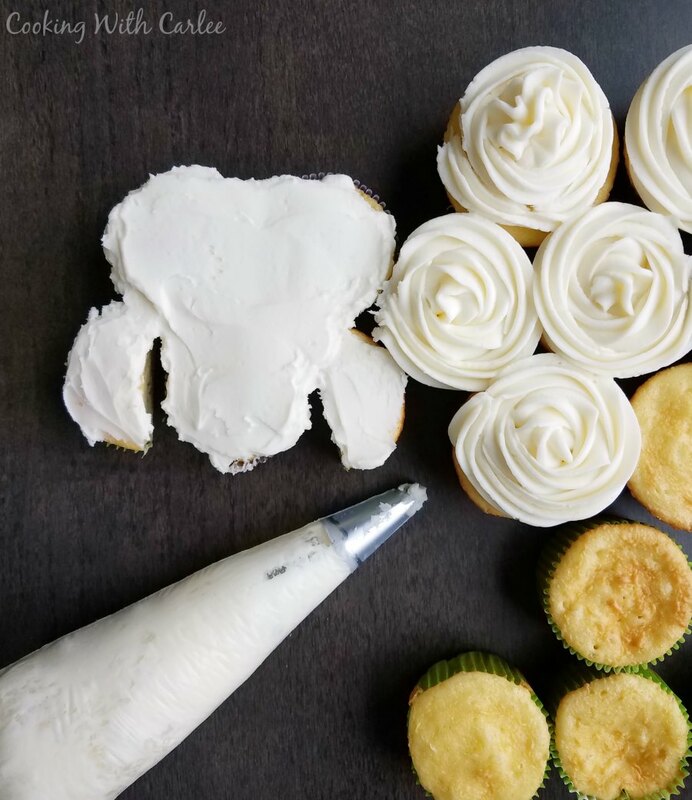 Be a little bit generous as you are going to want it to be able to span the gap between the cupcakes. Smooth it all out. After that it's time to pipe the wool onto the body. We did rosettes, but you could do whatever pattern you like best. Give your little lam some legs as well and she is really starting to come together. You could pipe on green frosting for grass if you'd like, but we thought it would be fun to go ahead and frost the cupcakes in white and then cover them in green coconut for grass. Just mix a teaspoon of water and a few drops of green food coloring in a bag. Toss in some coconut and mush it all around until it's colored. Press it into the frosting and ta-da! A nice bed of grass is formed, ready for your lamb. We dyed some frosting black to pipe on the lamb's face and made little balls of black frosting for her hooves. After that we just piped on some extra buttercream around her head, down her ears and between the cupcakes to bring her all together and make her extra fluffy. I’m quite impressed too, you and your lil guy did Mary proud! This is sooooo cute and perfect for Easter! Love the grass on the bottom too, just darling! Thank you! I am not very artistic, so I was excited it came out as well as it did! It was fun, that is for sure! I want to visit MiMi's farm! That lamb is so precious I let out an audible sigh at her picture :). Little Dude is lucky that he gets to hang out with her! And this cake is soooo cute. I don't know if I could get mine to look like yours but I'm definitely willing to try! I am sure you are welcome any time! I know yours would be absolutely beautiful. 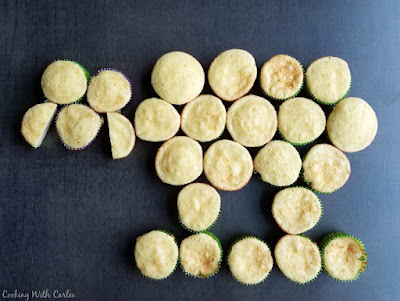 My kids love pull-apart cupcakes and this looks like a perfect one to have at any Easter celebration with kids (or kids at heart). Thanks for linking it up on the Celebrate 365 Blog Party! Thank you, it was fun to make. It was my first try at pull-apart cupcakes, but I doubt it will be my last. 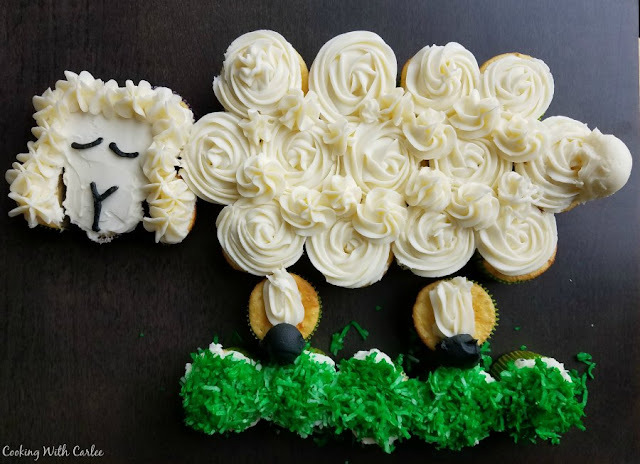 Hi Carlee, what better way of celebrating all things spring with a cute lamb cake and everyone enjoys a cupcake (don't they?). I wouldn't be surprised if Little Dude comes home with Mary stuffed up his jumper. Definitely, everyone enjoys cupcakes! I'm sure of it! Hello Carlee, this is such a cute way to enjoy spring! I love the cute little animals that are born in the spring. Thank you for sharing, I will have to make this for my grandkids, and I know that they will love it. Thank you so much! I am sure the grandkids will think it's fun! Adorable and very creative! Thanks for linking up at Welcome Spring Link Party. 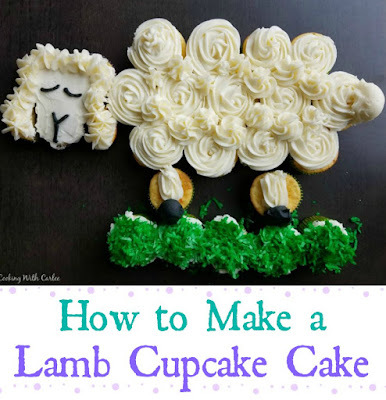 What a precious Lamb Cupcake Cake, this would be such a fun project! Hope you are having a great weekend and thanks so much for sharing your great post with us at Full Plate Thursday! OMG! This is too cute Carlee!! Pinned! Thanks for sharing at Friday Frenzy! Carlee ~ This is just too cute!!! He's adorable and reminds me of the lamb puppets the kids use in the Sound of Music when they put on their puppet theater. Thanks for the tutorial. Pinned. 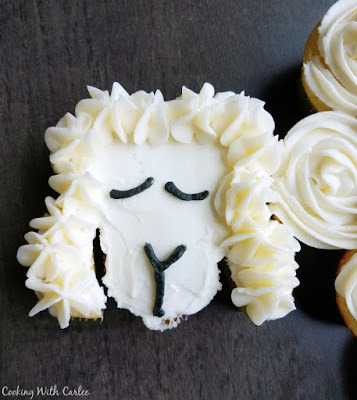 Adorable lamb cupcake cake! Such a great Easter dessert idea! !